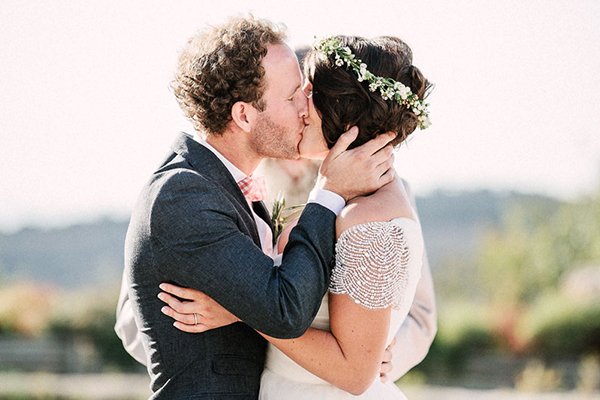 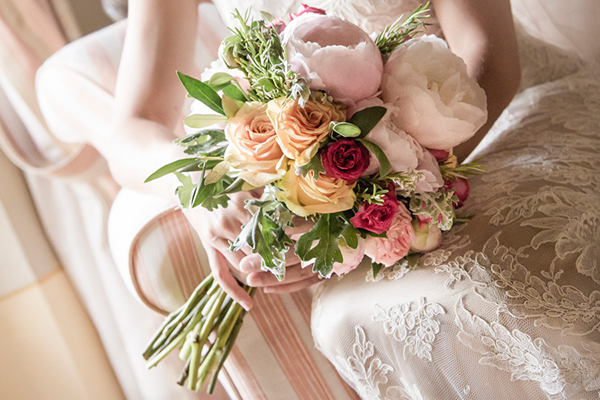 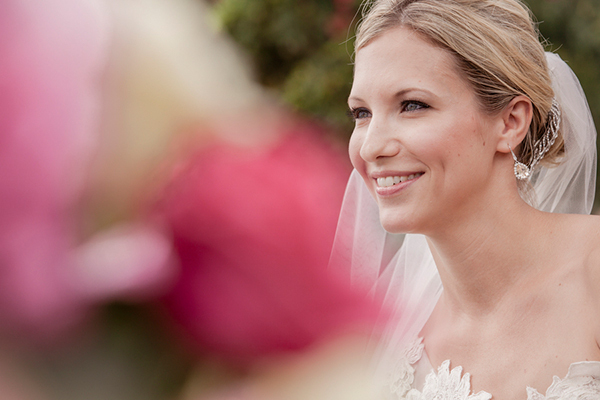 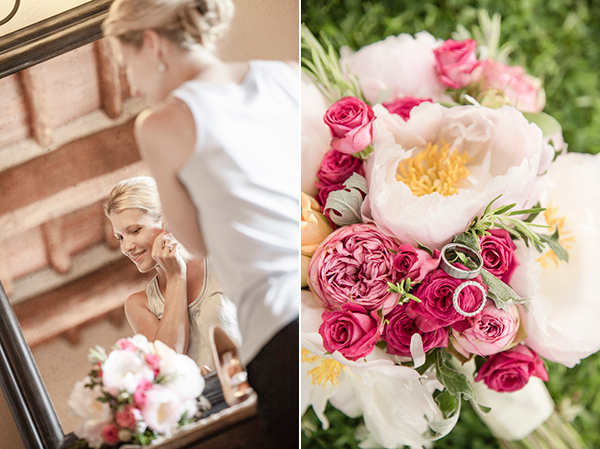 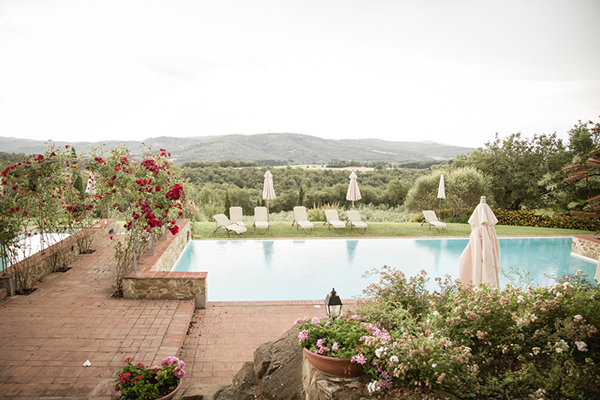 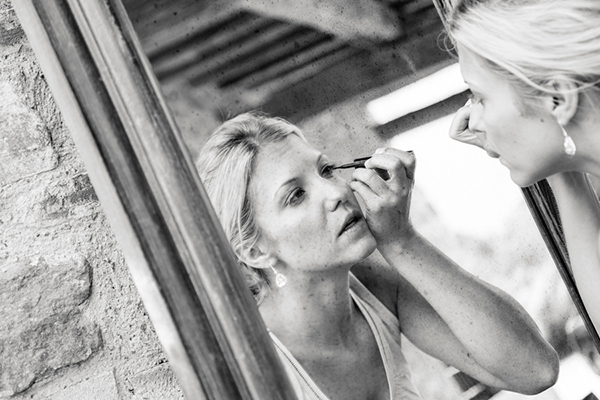 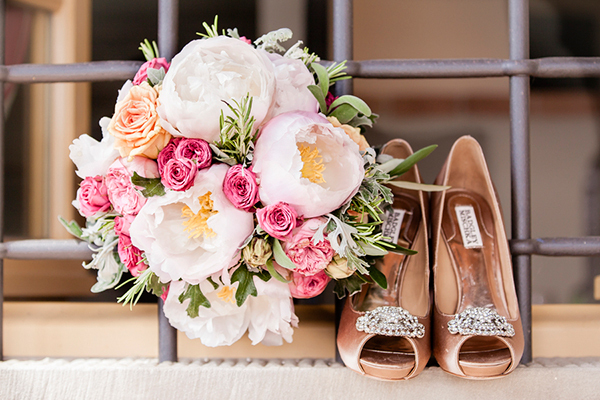 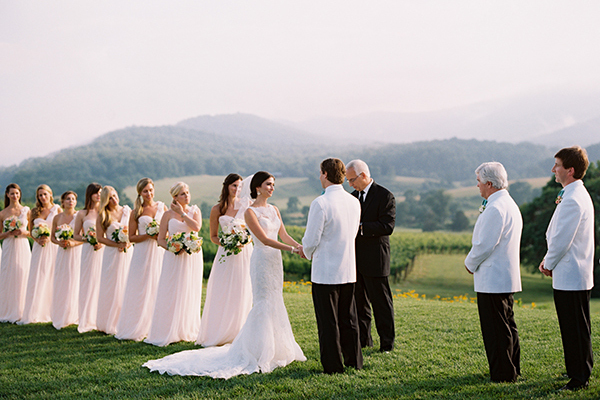 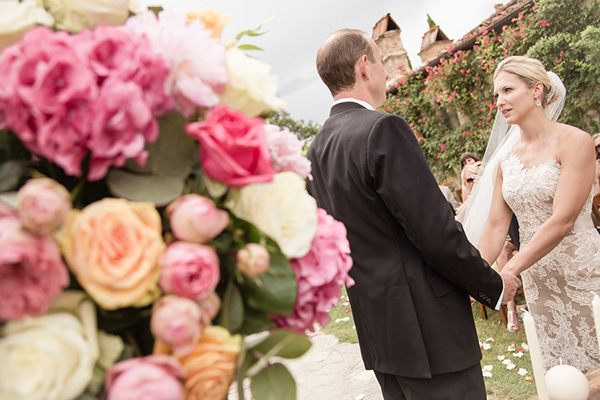 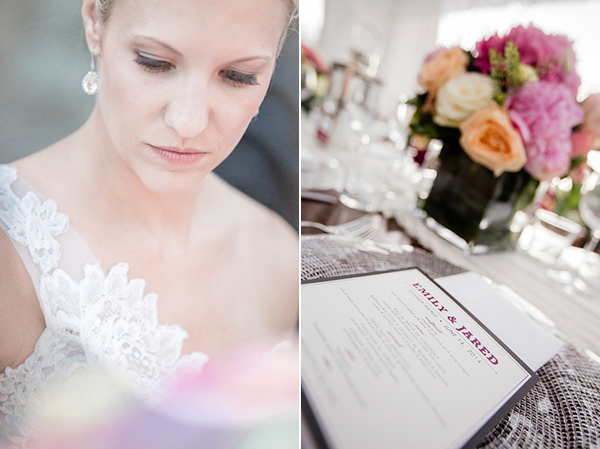 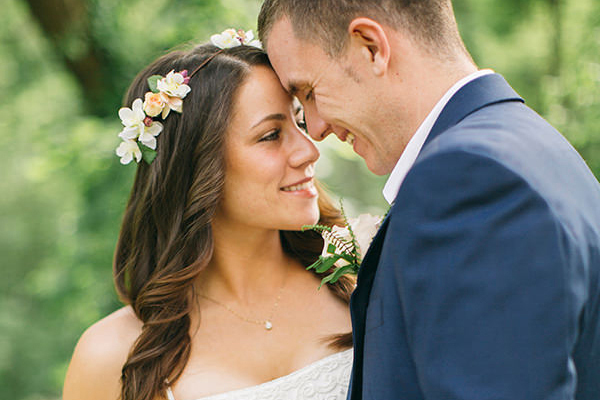 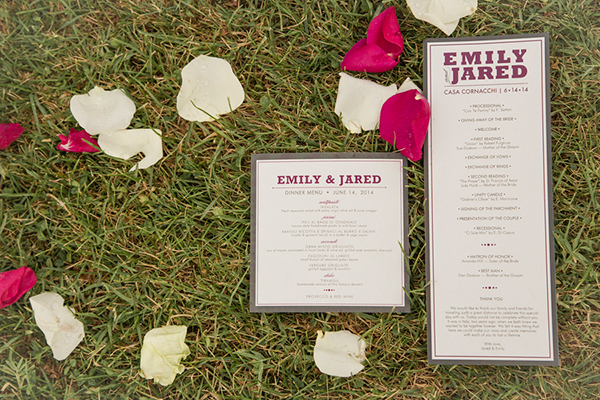 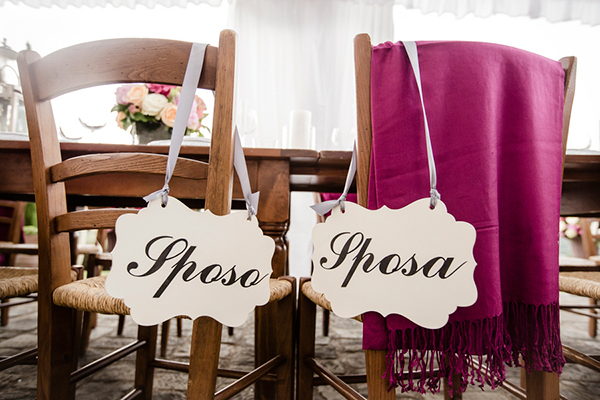 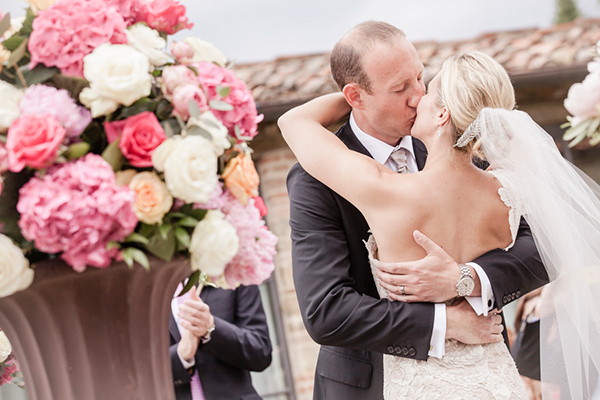 We are taken aback from the country style charm from this lovely Tuscany wedding! 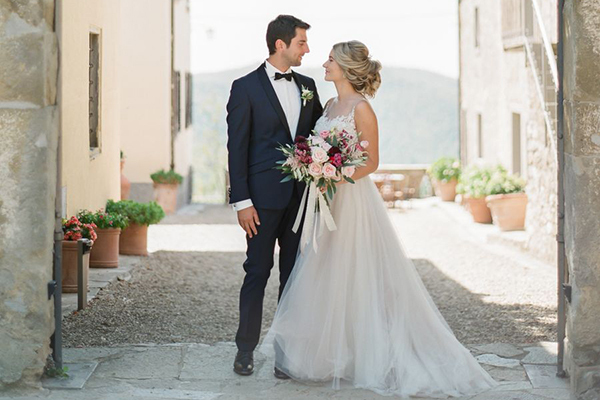 The couple exchanged vows in the gorgeous setting of Casa Cornacchi, a country style house located in picture perfect southern Tuscany. 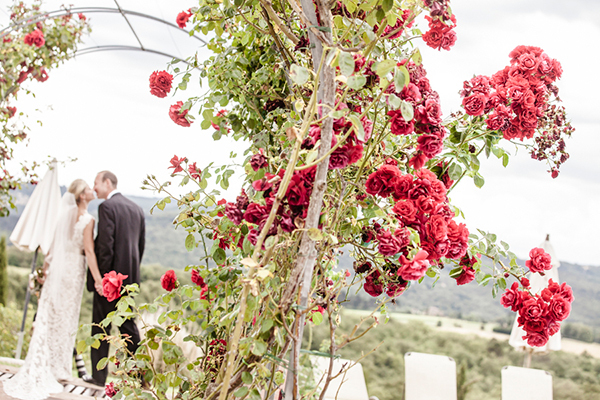 Absolutely romantic! 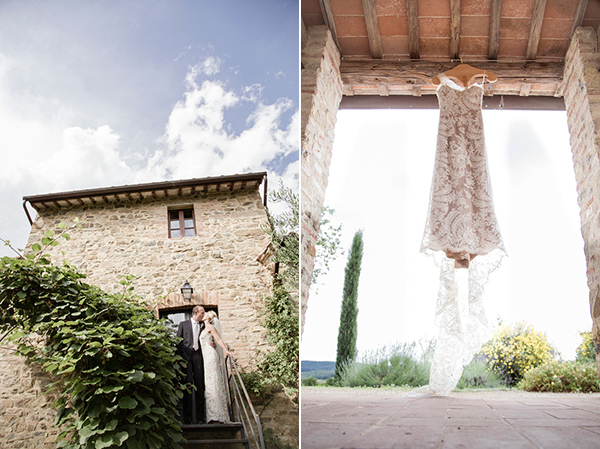 And … the beautiful bride looked stunning in her one shoulder wedding dress was stunning with hand cut and architectured lace. 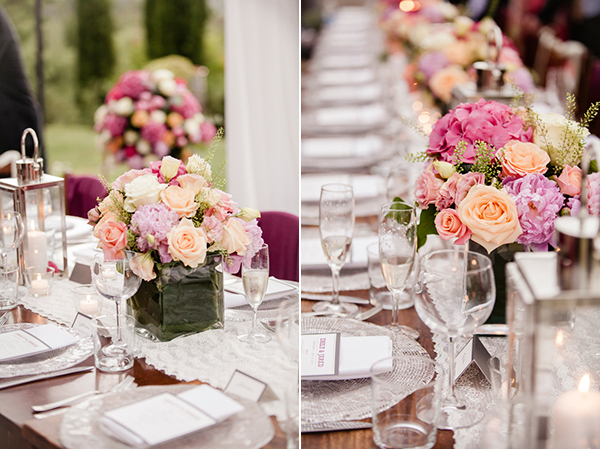 Enjoy all the prettiness captured by Angelina Braccini! 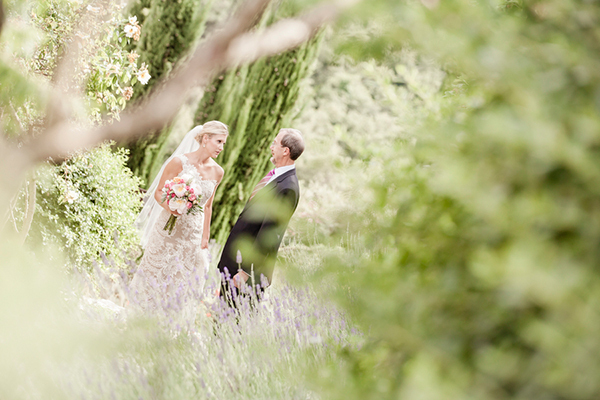 “The villa grounds and the breathtaking view over the valley meant we barely needed to decorate a thing! 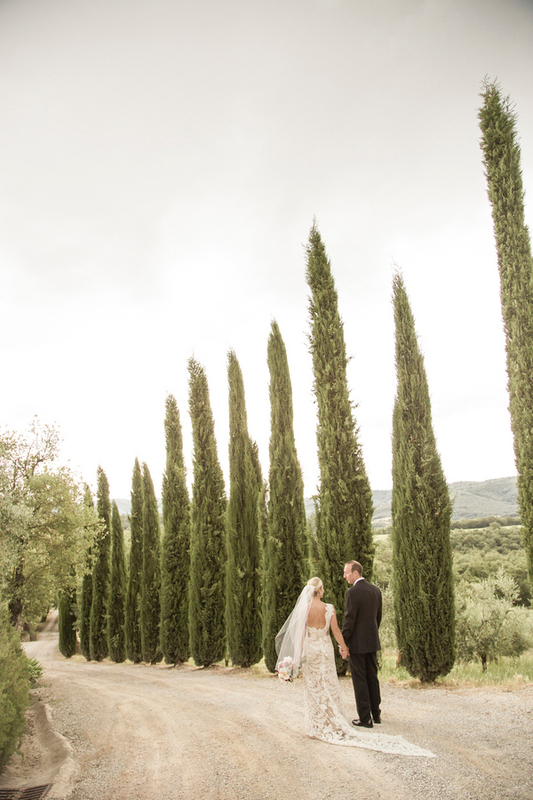 We didn’t choose specific colors but tended to use wines and greens to reflect the authenticity of Italy’s favorite drink and the beautiful rolling hillsides… Our ceremony was very personal with readings from our mothers and notes written to each other. 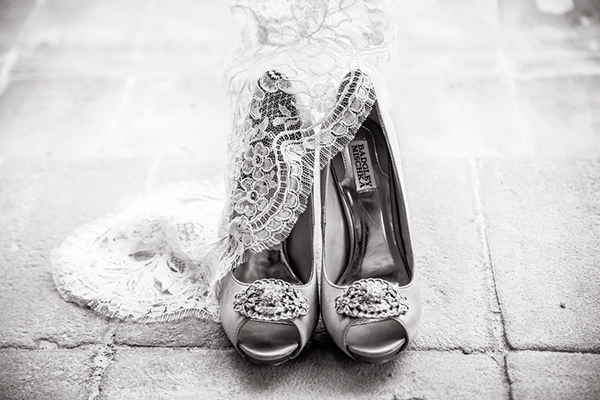 The soprano who sang Con Te Partiro as we walked down the aisle made it feel so quintessentially Italian!”, the bride mentioned. 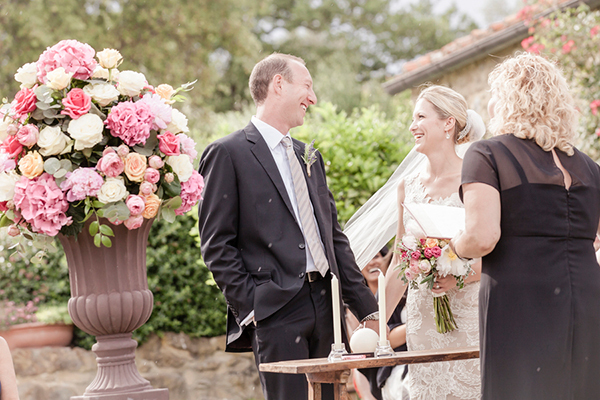 Emily shared with us: “We also loved the single long, wooden reception table, decorated with a lace runner, flowers and lanterns. 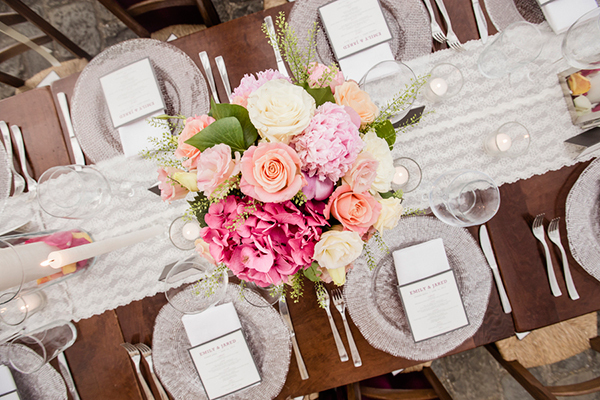 We will never forget the joy of seeing everyone around that one table, drinking, toasting, laughing and celebrating, while we looked out past the candles that twinkled from the trees and valley beyond. 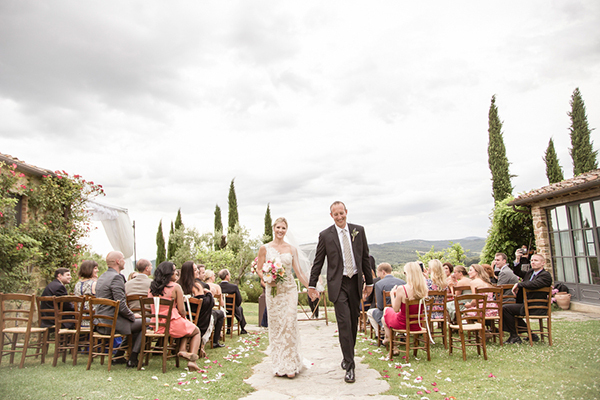 Even though there were a few drops of rain, the day couldn’t have been more romantic and perfect!